Spiders are very harmful and dangerous as well as they are breathing arthropods. They have eight legs. Their legs have chelicerae with fangs that may inject poisonous venom. Types of Spiders and their facts. All spiders are eight-legged creatures and their organs have ability to spin silk at the back ends of their structure. Forty thousand different types of spiders are present in the whole world. Antarctica is the only continent where gross spiders do not exist. Spider anatomy to understand Spider Control. Spider consists of two body segments, the very first one is abdomen which is on front and the other one is cephalothorax which is the fusion of head and thorax. Most of the spiders don’t bite humans but some of them which are in North America can be poisonous and more dangerous. Majority of spider bites can cause mild reaction such as little itching with mild swelling or a bit inflammation. The black widow spider got toxic venom which is called a neurotoxin. Neurotoxin is not good for the Brain as it may damage the brain and it’s nervous system. 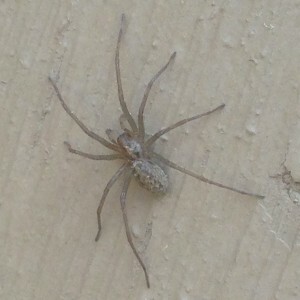 The brown recluse spider got venom which is called necrosis. That harmful venom may cause breakdown of skin and tissue. Tarantulas have hairy legs and also hairs on their body. They inject a poisonous toxin to human skin. They only bite when they threatened. Getting rid of spiders by Spider Control in house. Exopest is very good for spider control in Canada. Our professionals have the best Spider Control Products Canada and best formula for the spider control. Exopest can control the spiders in all areas such as basements, crawlspace, closet, wood piling and tubbing etc. Spider Control Basement can be a bit tricky. Keep the things off ground and less clutter. Outside debris should be removed. Cut tall grass which is touching to exterior walls. Call 604-760-1542 Now for your FREE Evaluation. Or Click Here for your FREE Quote.